April smoker cooker classes are limited in size- book early to insure your acceptance. Isn’t true? If you want to succeed at something you must put in the time to learn and practice and become proficient. That’s why the Lang BBQ Smokers® Kitchen “Q-School” exists. 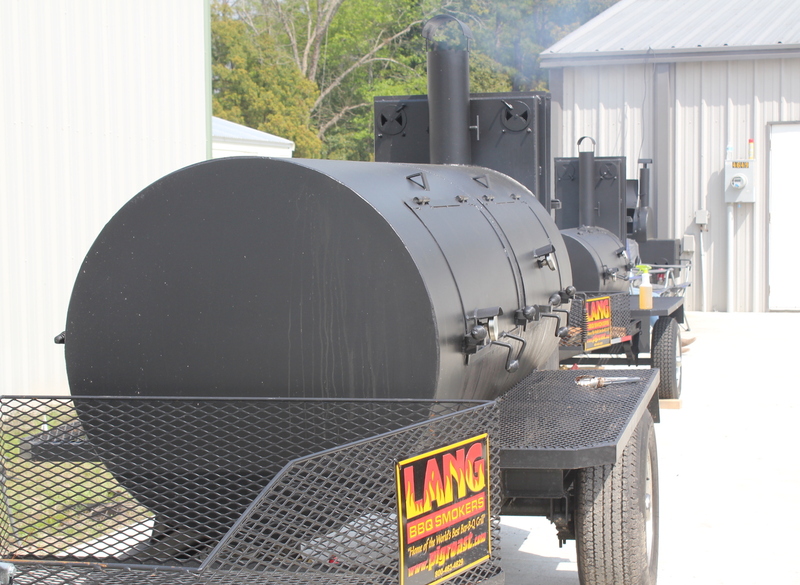 When you use the world’s most advanced smoker cookers from Lang, you want to be able to bring your own skill level up to get the most out of the equipment. Once you get the hands-on learning at Q-School you’ll be closer to Gillin’ right, Chillin’ because you have confidence, and Winnin’ because what you grill will make mouths water whether you’re in competition, in your back yard or a restaurant. You’ll be grillin’ smart! Grandmaster Chef Paul Kirk of the KCBS Hall of Fame will lead both classes. Chef Kirk is accomplished: CWC, Ph.B., B.S.A.S., the Kansas City Baron of Barbecue, seven time world champion, and inductee into the Kansas City BBQ Society Hall of Fame. There’s no way in the world you’ll want to miss this. Go to the Q-School link and register today. These classes fill up quick.